Singapore Airlines said on Monday that its passenger load factor (PLF) for November improved across its Singapore Airlines and SilkAir brands, while declining for Scoot. For SIA Group, PLF improved 1.1 percentage points to 81.8 percent, while passenger carriage, measured in revenue passenger kilometers, increased 9.7 percent on-year, compared with an 8.2 percent increase in capacity, as measured by available seat kilometers, it said in a filing to SGX. 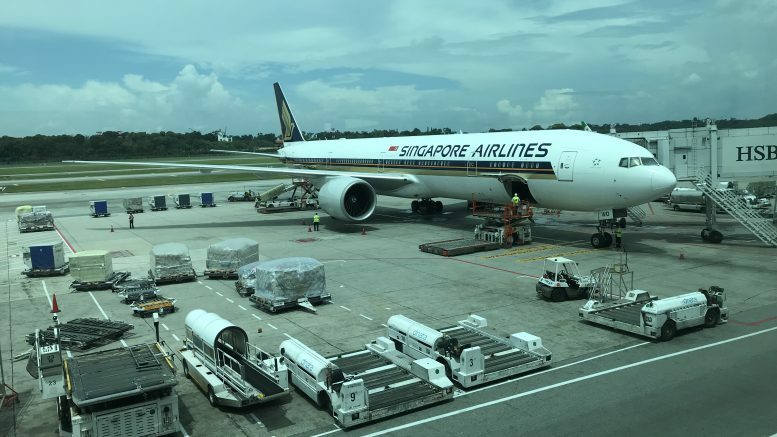 For Singapore Airlines, PLF improved 1.9 percentage points to 81.9 percent, while passenger carriage increased 9.2 percent on-year, outpacing a 6.6 percent capacity increase, it said, adding PLF improved for all route regions except South West Pacific, which saw a slight decline on-year. For SilkAir, passenger carriage rose 3.8 percent, while capacity contracted by 0.2 percent, with PLF rising 3.0 percentage points to 76.9 percent as all route regions saw improvements, it said. But Scoot’s PLF fell 3.1 percentage points to 83.2 percent, as passenger carriage growth of 13.6 percent in November was outpaced by capacity expansion of 17.9 percent, SIA said. “PLF improved for West Asia, while East Asia and Rest of World recorded declines as traffic did not keep pace with the increases in capacity,” SIA said. For cargo, all route regions saw declines in cargo load factors (CLF) as demand failed to keep pace with capacity changes, it said. The CLF fell 3.4 percentage points, with cargo traffic, as measured in freight-tonne kilometers, falling 3.0 percent, while capacity grew 1.9 percent, it said.